On Thursday, Tesla has filed a lawsuit against Aurora Innovation, claiming that its founders stole data to set up their own company. The firm, founded last year, doesn’t have a notable internet presence as of yet, but Tesla’s lawsuit against it paints a critical picture of a self-driving company whose founders sought to leapfrog the competition by taking advantage of their access to Tesla data. Aurora Innovation was started by Sterling Anderson, director of Autopilot programs at Tesla. He started working at Tesla back in 2014 on the Model X project, before moving onto the Autopilot team the following year. The Autopilot feature forms the basis of Tesla’s autonomous driving efforts: although it only directs cars through traffic at the moment, in the future Tesla wants to update the feature to enable full autonomy. In the summer of 2016, Tesla’s complaint alleges that Sterling began speaking with the director of Google’s self-driving car initiative, Christopher Urmson. Google’s efforts, now run under the title Waymo, represent one of the most high-profile attempts to bring self-driving cars to the road, with the company using its expertise in data handling to try to drive a car in real time. For the rest of the year, the lawsuit alleges that Urmson and Anderson courted staff from each other’s respective companies. Anderson allegedly told Tesla in December that he was leaving, without explaining the real reason why, and then stayed on until January to finish the project. During that time, Anderson allegedly backed up company data on external hard drives and never gave them back. In the filing, Tesla says Anderson claimed that he did not locate anything Tesla-related when he searched his possessions, which Tesla disputes. Considering how far along the self-driving project is based on the above footage, it’s easy to see why Tesla is so keen to make sure its data doesn’t fall into the wrong hands. It’s unclear whether Aurora Innovation will ever produce anything, but the company is in such early stages it may be too soon to judge. The lawsuit does not get the company off to a great start, and even if it goes in their favor, it’ll be a difficult public relations issue to shake off in the company’s early years. The lawsuit gives little detail about how much progress the team has made with their own initiative, but as Anderson only left Tesla earlier this month, it’s unlikely much has happened beyond the recruiting process. 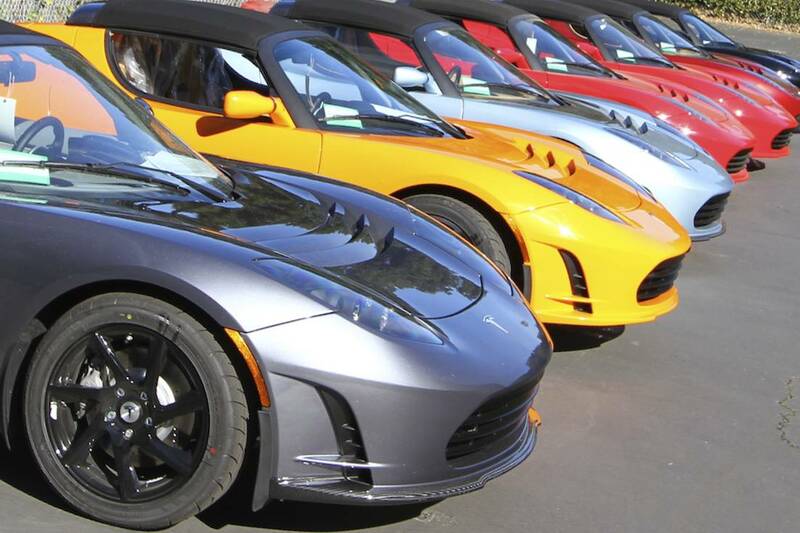 Update 3/3 10 a.m. Eastern: An earlier version of this story described Anderson as a former program manager that Tesla alleges approached Urmson in the summer. Anderson was director of Autopilot programs, and Tesla alleges that Anderson began speaking with Urmson in the summer.